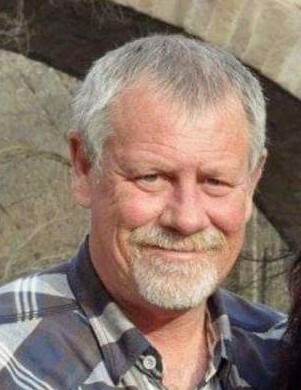 Darrell Lee "Smiley" Kindhart, 58, of Liberty, (formerly of Clayton) died at 5:15 p.m. Tuesday, January 15, 2019, at his home in Liberty. Born April 19, 1960, in Quincy, Illinois, Mr. Kindhart was a son of Carlos and Ruby Parn Kindhart. He married Peggy Hildebrand February 28, 1986, in Quincy, IL. She survives. Darrell employed at OFR Trucking. He loved playing cards, hunting, camping and riding his Harley Davidson motorcycle. He was a devoted husband, father, and grandfather who cherished the time he spent with his family. He especially enjoyed attending his grandchildren's activities. Darrell always looked forward to the yearly "hog hunt" with Travis which they had enjoyed for the last ten consecutive years. He was a member of St. Thomas Catholic Church in Camp Point. Survivors in addition to his wife are his parents, Carlos and Ruby Kindhart, Clayton; his children, Rex Kindhart (Deedee Roate), Versailles, Travis Zanger (Carla), Liberty, Nicole Haynes (Aaron), Liberty, and Justin Zanger (Keaton), Clayton; eleven grandchildren, Lane Herald, Versailles, Wyatt Tenhouse (Callie Luft), Makenna Zanger, Preslea "Sugar Bear" Zanger, Mason Zanger, Kaylee Barner, Zachary Haynes, Avery Haynes, and Greyson Oliver Lee Haynes, all of Liberty, Hanna Motley, Quincy, and Aydan Koontz, Clayton; three brothers, Gary "Gus" Kindhart (Cindy Fraisier), Clayton, Jeff "Woody" Kindhart (Brenna), Clayton, and Jerry Kindhart (Suzie Phillips), Perry, IL. ; and numerous nieces and nephews. Funeral services will be conducted at 10:00 a.m. Tuesday, January 22 at the St. Thomas Catholic Church in Camp Point by Monsignor Michael Kuse and Father Stephen Thompson. Burial will follow at Calvary Cemetery, Quincy, Illinois. Visitation will be held Monday, January 21, from 4:00 p.m. until 7:00 p.m. at St. Thomas Catholic Church in Camp Point. Memorial contributions may be made to Blessing Cancer Center and\or Unity Point Hospice. The Hamilton Funeral Home in Clayton is handling the arrangements.